”In Defense of Sugar: A Critique of Diet-Centrism,” by Edward Archer (https://doi.org/10.1016/j.pcad.2018.04.007). It appears in volume 61, issue 1 (May-June 2018). “Letter to the Editor - In Critique of ‘In Defense of Sugar’: The Nuance of Whole Foods,” by James J. DiNicolantonio and James H. O’Keefe (https://doi.org/10.1016/j.pcad.2018.07.006). It will appear in volume 61, issue 3 (September/October 2018). “Response to the Letter to the Editor by author of review - The Demonization of ‘Diet’ Is Nothing New,” by Edward Archer (https://doi.org/10.1016/j.pcad.2018.07.013). It will appear in volume 61, issue 3 (September/October 2018). Full text of the articles is available to journalists upon request. 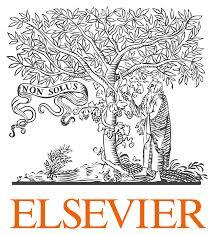 To obtain copies contact Jonathan Davis, Communications Officer, Elsevier, at +31 20 485 2719 or j.davis.1@elsevier.com. Journalists wishing to set up interviews with the authors should also contact Jonathan Davis.